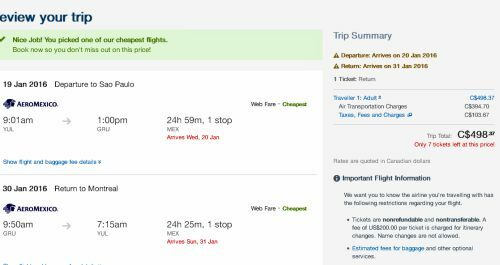 Just when I thought that flights from Montreal to Brazil surely could not fall any lower, they've dropped yet again, to a historic low of $499 CAD roundtrip including taxes, on AeroMexico. NOTE: The layovers in Mexico City can be long, from 8-9 hours each way, all the way up to 19 hours. For some travelers, it could be an opportunity to visit Mexico City. ALSO NOTE: Canadians require a visa to visit Brazil. It costs $95. Details on how to apply for and obtain one can be found here. Where to stay in Sao Paulo? 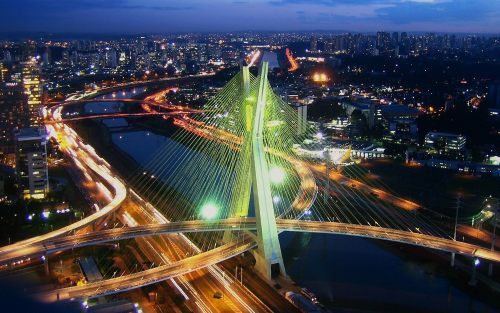 The following AirBNB links will lead you to some great deals on places to stay in Sao Paulo for under $59 CAD/night for 2 people. montreal, yul, flight deals, south america, aeromexico, brazil, sao paulo and gru.